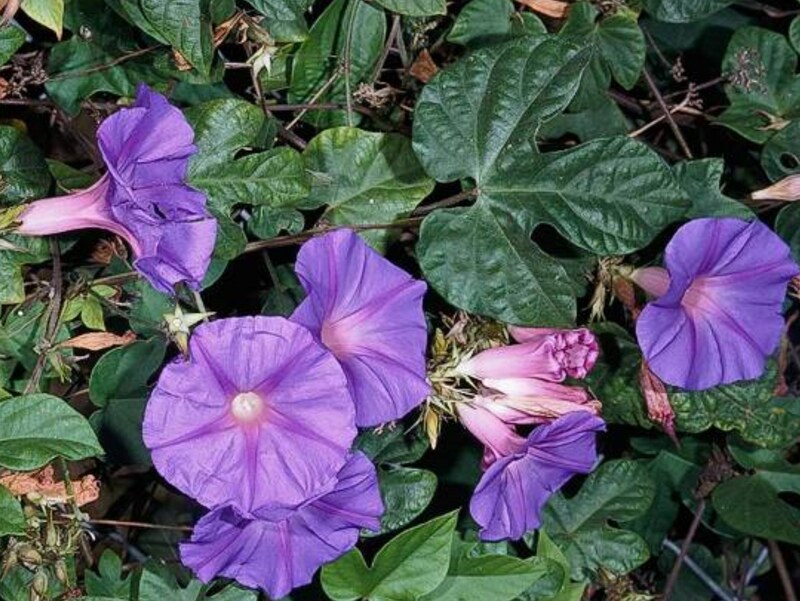 Ipomoea indica (blue morning glory) is a vine (family Convolvulaceae) with blue-purple flowers and lobed to oval-shaped leaves found in the San Francisco Bay area and the central and south coast ranges of California. It is native to the southeastern United States. It favors riparian and bottomland habitat. It reproduces vegetatively via root fragments and can sometimes also produce seed. Stems resprout vigorously when cut. Stem fragments are commonly spread by water, animals and in dumped garden waste.